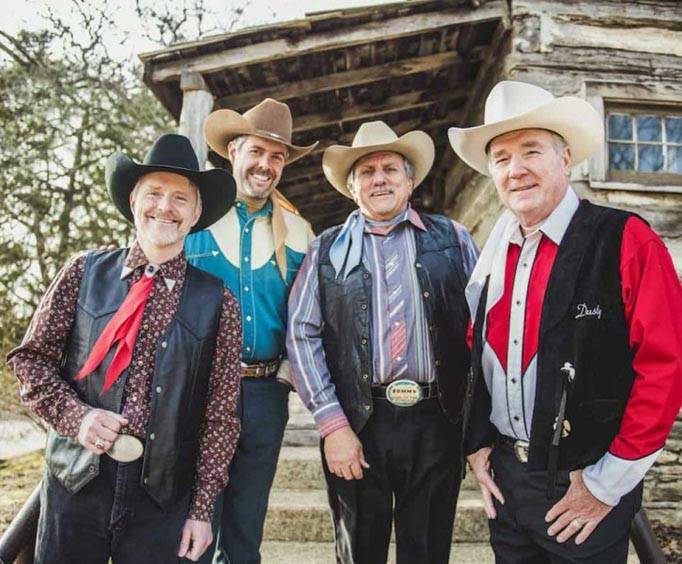 Now they bring that tradition to you with the Sons of the Pioneers Chuck Wagon Show. Take in the music that will bring you back to a time when life was simpler and the West was wilder. 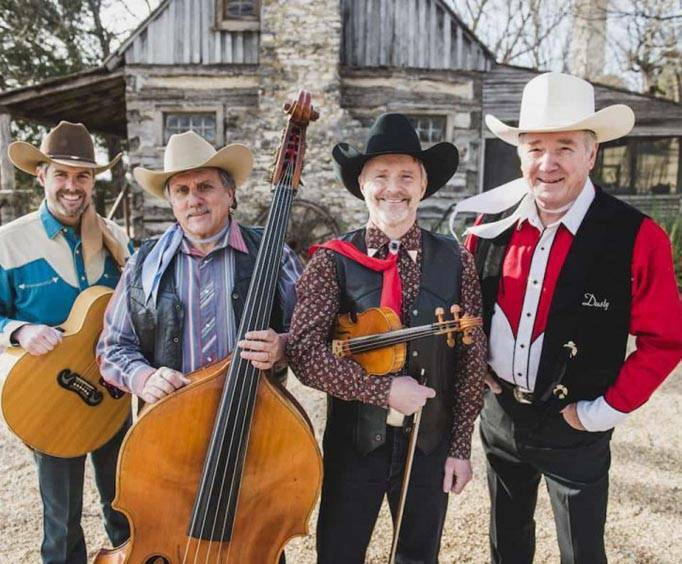 You'll hear songs like 'Ghost Riders' and 'Red River Valley' with plenty of comedic jokes and acts in between. Don't miss out on the fabulous show, when the Sons of the Pioneer set out to entertain you! Roy Rogers started the original Sons of the Pioneers in the mid 1930s. Since that time the members of the group have changed, but the theme remains the same. Currently, the group consists of Luther Nallie, Gary LeMaster, Ken Lattimore, Randy Rudd, Mark Abbott and Ricky Boen. Joining them for the 2pm matinee shows is champion fiddle player, Justin Branum. Branum is known for winning the National Fiddle Contest in 2008, the Texas State Fiddle Contest, and the Tennessee State Fiddle Contest. He also won the National Championship Fiddle Contest in 2010 and the Tennessee State Mandolin Contest. This star is sure to shine with the Sons of Pioneers, so don't miss out! If i could have but one wish, i would have the sons of the pioneers sing their wonderful songs forever. They are a true classic - past, present, and future. I have been to three of their branson performances and find them to represent authentic americana. Each one of the sons of the pioneers is a jewel and play an integral part of the harmony of the group as well as being accomplished soloists. Being a musician myself, i thought the mix could have been better. The fiddle and bass were not loud enough and the tenor who played the fiddle vocal mic should be louder. Mixing from the stage is a hard thing to do. Not wanting to be critical that night, i will write that here. The music and vocals were great. I just hope they have more business so they can keep playing there. We would go and see them again..
We drove all day to get here from texas and this show and dinner were worth the drive by itself. The food was great and so was the service. The sons of the the pioneers put on a top notch show singing many of their cowboy classics we have heard over the years. After the show we attended the shepherd of the hills presentation. An evening we will not soon forget. I think they are branson's best kept secret. It is so refreshing to hear pure, clean harmony and to actually understand the words. Western/cowboy music speaks to the soul of part of our national history. If anyone is interested in great musicians with mellow, awesome harmony, please see the sons of the pioneers. Roy rogers, one of the original sons in 1934, would be very happy. It is also refreshing to leave a theater without our ears hurting and ringing from so much plugged in and loud music.